Learning to acknowledge the fears we have within ourselves and with others is the first step to becoming free from them. Having a fear of something isn’t bad. In fact, sometimes our responses to fear can save our lives. We sense danger, so we run. We are swimming and running out of breath, so we get to shore. Fear itself isn’t the problem. It is what becomes of our fear that matters. Once our fears begin to control us – limit our life, change our thoughts/beliefs about ourselves, irrational behavior surfaces – this is when a fear becomes problematic. A fear not dealt with has the potential to overcome us to the point of robbing our joy in life. Anything can become a fear. Nothing is too far from its reach. Oftentimes I find people hating what they fear yet, unwilling to change. I can’t say that I blame them. After all, even though they hate what they fear and want so badly for it to change, it is also known to them. Theoretically, they have already lived with their fear for a number of years, and have become accustomed to how it limits their life and restricts their happiness. Asking someone to take the risk learning to let go of their fear, is one of the scariest risks I ask of people to try in my job. Asking people to give up the known for the unknown requires much trust, courage, and vulnerability on their part. Asking them to believe change is possible is the first step. -Being abandoned or rejected by those you love? -Not having enough money to pay your bills? -Something bad that happened in your past? Are your fears limiting your life? Are they altering your beliefs about yourself? Are they causing you to act in ways you normally wouldn’t? If you answered yes to any of the above questions then seeking help is your next step. What do we do when ours fears begin altering how we live our lives? 1. 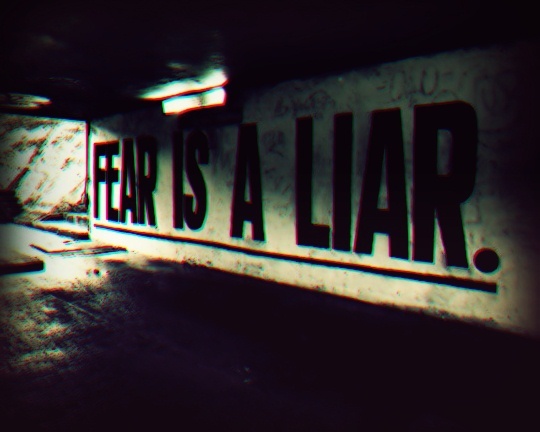 Acknowledge your fear is controlling or altering the way your think and live. 2. Seek help. Ask friends for support. Find a trusted counselor to help you. 3. Believe change is possible. These steps may sound trite, but believe me they are not! These initial steps are hard and require courage and vulnerability. You are choosing to step out into the unknown and say, “I want something better than what I currently have. I want to take back control of my life!” This is no easy task to begin engaging in. Some of the common fears I see people struggling with actually have nothing to do with something outside of themselves. Usually, I find people most fear something having to do who they are, how they perform and how they perceive the need to measure up to others, or being good enough or perfect enough to be loved. If I just described you, know you are not alone in your struggle. I hope you will reach out for help because freedom from your fears is possible!